Chico State's Kayden Carpenter stays ahead of her opponent in the Triton Classic in this archived photo. Image from Gary W Towne. 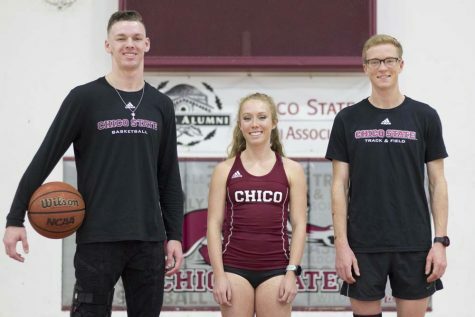 In what has become a yearly tradition over the last two decades, the Chico State men and women’s cross-country teams won the California Collegiate Athletic Association championships on Saturday in San Bernardino. The men for the 17th time in row and the women for the 11th time in a row. Just as impressive, all 10 of the men earned All-CCAA honors, awarded to the top 15 finishers. 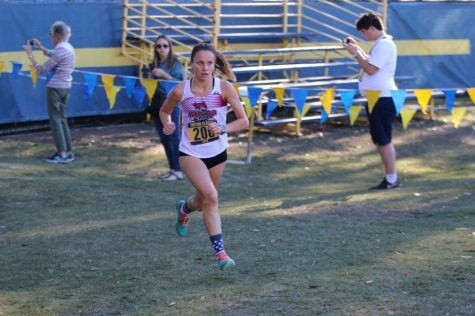 The top six finishers for Chico State all finished under the former course-record time. 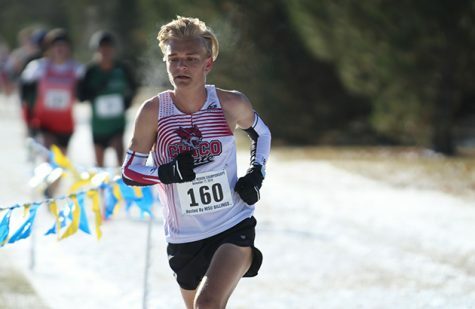 Leading the way and winning the race was the CCAA Runner of the Year Eddie King, at 24:09.8, which was the fastest time at a CCAA Championship for an 8k since 1996. 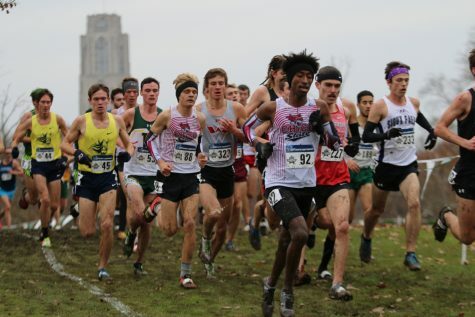 The cherry to top off his first collegiate cross-country title. 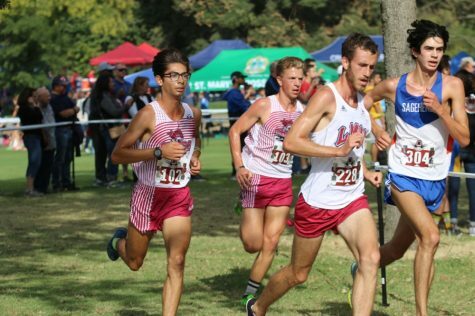 After King, the Wildcats finished with Jason Intravaia in third, Jack Emanuel in fourth, Luis Ortega in fifth and finishing the scoring was Wyatt Baxter (24:33.0) in sixth. Leading to a score of 19, well ahead of the runner-up Cal State San Marcos with 63, all without their other five All-CCAA runners in the scoring mix. 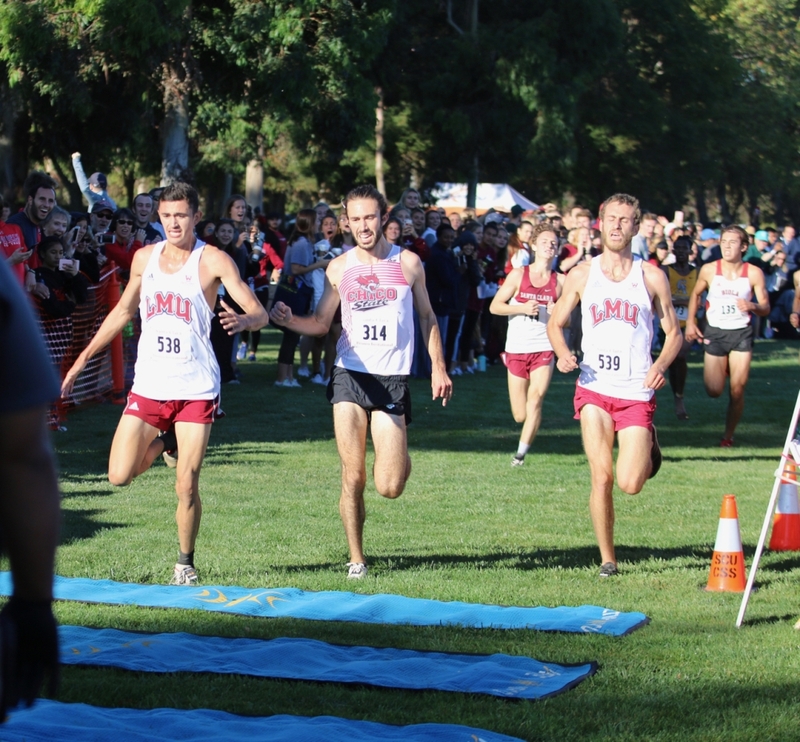 Chico State's Eddie King crosses the finish line at the Bronco Invitational in this archived photo. Image from Gary W Towne. 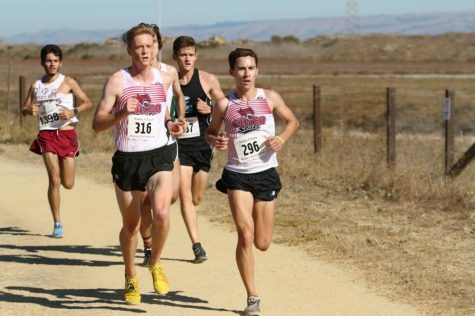 The other All-CCAA runners for the Wildcats include Jhavahn Holston at sixth place, Jack Johnson in ninth, Teddy Kassa in 10th, Daniel Harrigan-Cota in 11th and Zachary Chamberlain in 12th place. Not to be overlooked are the women who also won their 6k Championship event and had a runner take the first place title. 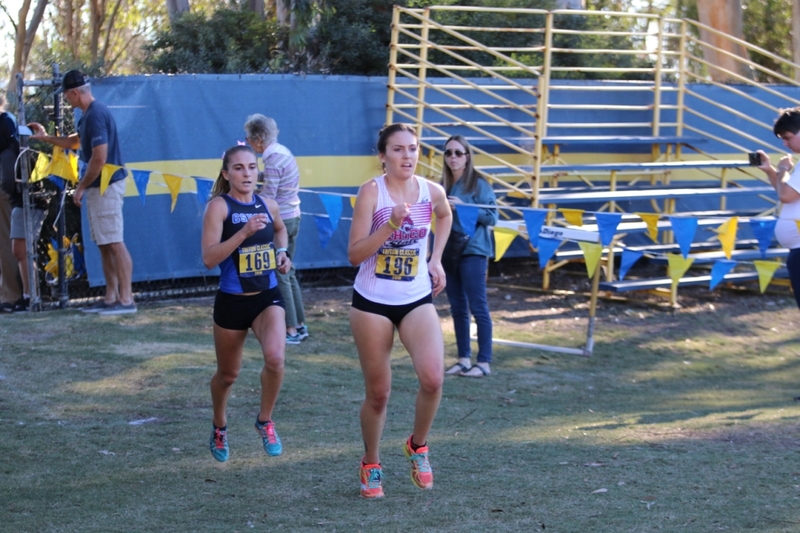 Karlie Garcia, the senior who claimed her first CCAA title, who wasn’t even sure she would compete until the day of the race. Compete she did by winning the event by nearly 30 seconds (20:58.1) and with the second fastest time recorded in the past 11 years at the championships. 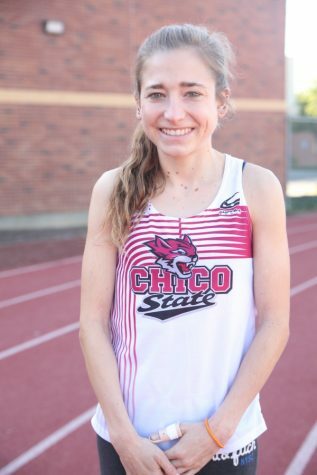 The Chico Sate women scored 24 and blew-out their next closest competition Stanislaus State at 70. 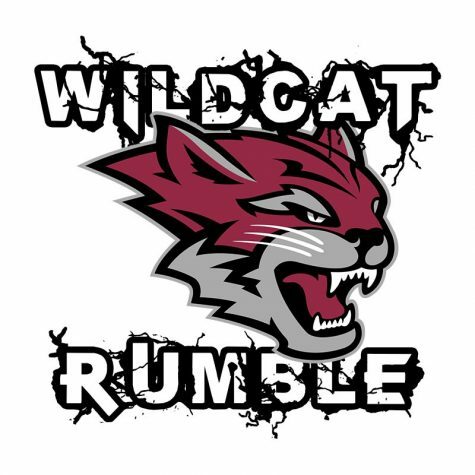 After Garcia, Alexandria Tucker (21:26.0) finished in second, Nora Pizzella in fourth, Kayden Carpenter in fifth and Haley Boynton (22:04.2) finished the Wildcats scoring in 12th place. Desirae Jones also had a top 15 finish in 15th place. 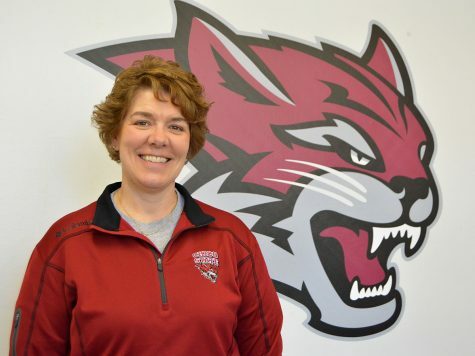 Chico State's Desirae Jones looks ahead at the Triton Classic in this archived photo. Image from Gary W Towne. Calling themselves a second half team could not have been more accurate. 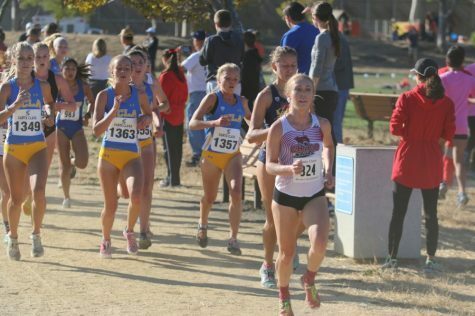 After two fifth place finishes to start the year, Chico State women’s cross-country just cruised to their second first place finish in their last two 6k races. 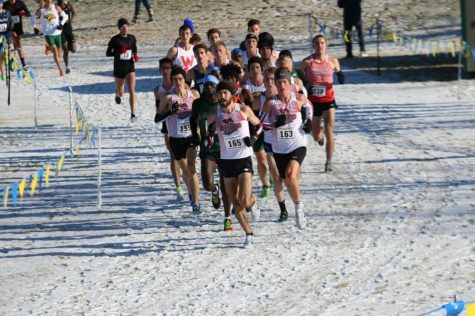 Chico State cross-country looks to continue their playoff dominance on Saturday, Nov. 17th at the NCAA West Regional Championships in Billings, Montana. For live stats visit the Chico State Cross Country schedule site.